For some people, the holidays are anything but a joyful time. The expenses of Christmas shopping, pressure of entertaining and interactions with family members you prefer to avoid can make it very stressful. For those who have struggled with depression in the past, this can be a time that triggers a recurrence. Others who currently deal with depression may find that the stress worsens symptoms. It is best to start planning in advance, not only for the holiday activities but also for how you can reduce stress and obtain support. Even though Christmas can bring together those loved and missed family members, this is not always the case for everyone. Some family members simply do not get along and dealing with the stress can be a challenge. It can serve as a trigger for depression and anxiety as well as exacerbate symptoms you already cope with for depression. Where possible, you can try to minimise communication with the family members that you find ‘difficult’, which is often easier in large groups. Try to increase your time spent doing activities you enjoy, such as spending time with friends. You may need to gain more support from these friends. For people who are dealing with bipolar disorder, the challenges of communicating with some family members during the holidays can be a major trigger for an episode. The pressure to spend money and find the perfect gift may seem small but can cause anxiety in some people, especially those already dealing with anxiety related to depression. Planning ahead can help you better budget for Christmas shopping and managing your finances. Some people find they can reduce the financial woes of the holidays by making gifts at home such as baskets filled with Christmas baking. One of the symptoms of depression is a change in eating habits. Some people lose their appetite while others cope by partaking in emotional eating. 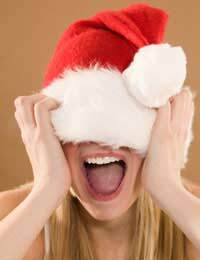 Christmas can be a time where more anxiety is experienced, leading to more frequent emotional eating. In turn, the guilt a person experiences leads to an even greater intake of unhealthy ‘junk’ foods, triggering a vicious cycle. People battling depression and emotional eating usually need to identify their emotional triggers to stop overeating. With an abundance of Christmas baking and social events, it can be even harder to moderate your food intake when you aren’t feeling emotionally stable and positive. You may need to devote more time to managing your emotional triggers and also planning for how you will socialise without bingeing. Most people will find that a combination of personal support from friends and family they get along with can help. Maintaining any counselling or increasing the sessions during the holidays can also help give you the tools you need to handle problems during the holiday season. Try to avoid alcohol as much as possible as this can further trigger stress and depression. If you are taking medications for depression this is particularly important and more so if you suffer from the extreme highs and lows of bipolar disorder. The holiday season has a reputation of being a positive, family-oriented time, but this is not the case for everyone. Those who are dealing with depression or prone to a recurrence can find this is a particularly difficult time. Issues with finances and poor family relations can make you dread the holiday season. If you make sure that you receive the additional medical and emotional support you need during this time, you can better enjoy the holidays and reduce the symptoms of depression.